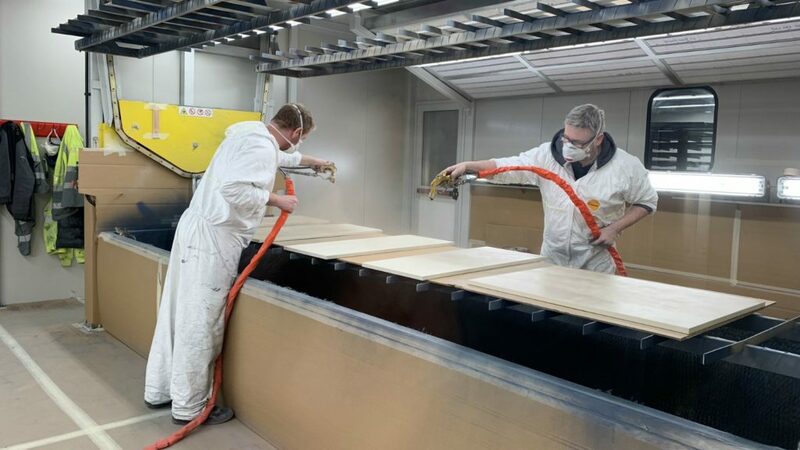 As part of a £4million investment into the company, kitchen furniture manufacturer Uform has reduced lead times for its paint to order timber to 10 days, with a 15-day lead for smooth painted finishes. The company’s investment also includes 50,000sq ft space for ex-stock ranges, such as its Aldana skinny Shaker, a 10,000sqft dispatch area for more efficient delivery and a new painting and polishing capacity. In addition, IT platforms have also been deployed for smarter workflows, increased traceability and improved communication with trade customers. Commenting on the news, Uform CEO Eamon Donnelley said: “Following the success of our attendance at KBB last years, where we launched a number of innovative ranges, along with a new Kitchen Stori brochure concept, we experienced an unprecedented demand for paint to order products in the months that followed. “The trend for bold statement colours heavily influenced demand also so overall, internal capacity proved challenging as we were also in the throes of a £4million investment programme which we’re now pleased to report is complete.